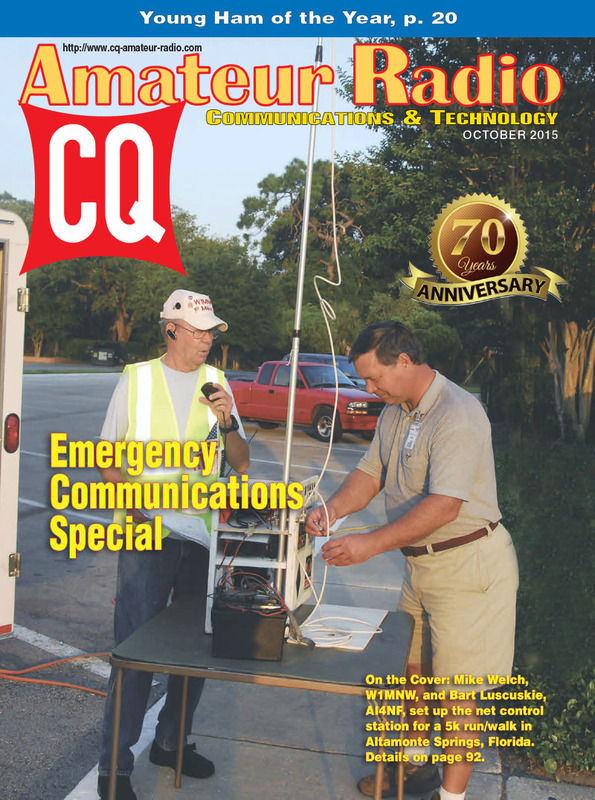 The October issue of CQ is our annual Emergency Communications Special, with a special focus on amateur radio involvement in healthcare and public health emergency response. 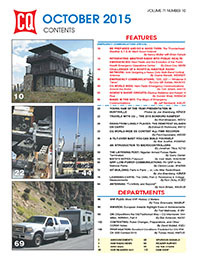 We also feature plans for building a combination weather station and communications outpost at a Pennsylvania scout camp, along with columns on using 222 MHz for EmComm, an international view of amateur radio EmComm and more. 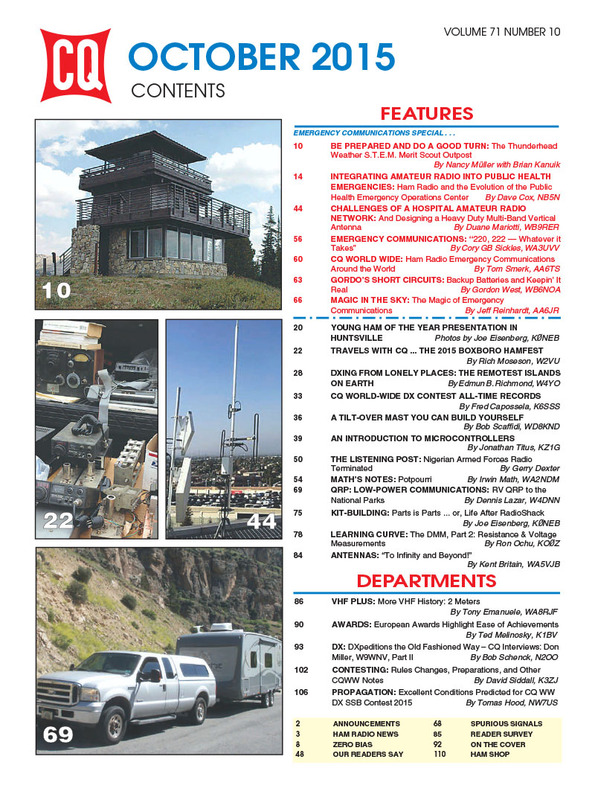 Beyond the world of emergency communications, we've got photo features on the 2015 Young Ham of the Year ceremony in Huntsville, Alabama, and the Boxboro Hamfest in Massachusetts; plus a look back at "DXing From Lonely Places," a tilt-over mast you can build yourself and the conclusion of our interview with DXer and DXpeditioner Don Miller, W9WNV. We've also got the all-time records for the CQ World Wide DX Contest (SSB weekend coming up October 24-25; CW weekend on November 28-29); a look at operating low power (QRP) while RVing through the national parks; more on how to use a digital multimeter (DMM) and K0NEB's look at sourcing parts for kits now that RadioShack is no longer found on every other corner. Finally, Propagation Editor NW7US predicts excellent conditions for the CQWW SSB weekend. That's a brief look at what's coming up in the October issue of CQ magazine. 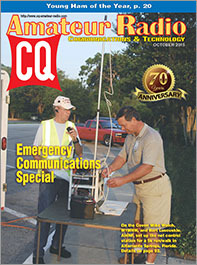 For information on becoming a CQ subscriber - to either our print or digital edition - click here! Zero Bias –The "Health" of Amateur Radio"
On the Cover: Mike Welch, W1MNW, and Bart Luscuskie, AI4NF, set up net control for a 5k run/walk in Altamonte Springs, Florida.